Made of 18/10 Stainless Steel, Unbreakable and Durable, Dishwasher Safe. 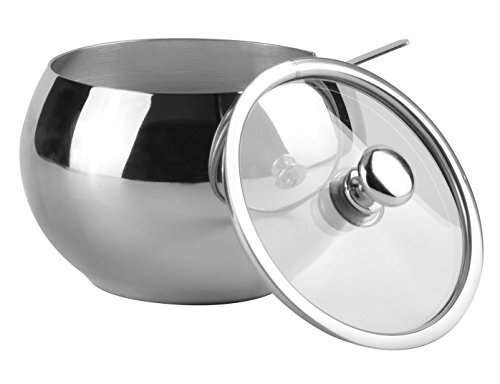 For this sugar bowl, HardNok provide you life-time warranty. Pls kindly note that the sugar bowl is all polished sliver. View More In Cream & Sugar. If you have any questions about this product by HardNok, contact us by completing and submitting the form below. If you are looking for a specif part number, please include it with your message.